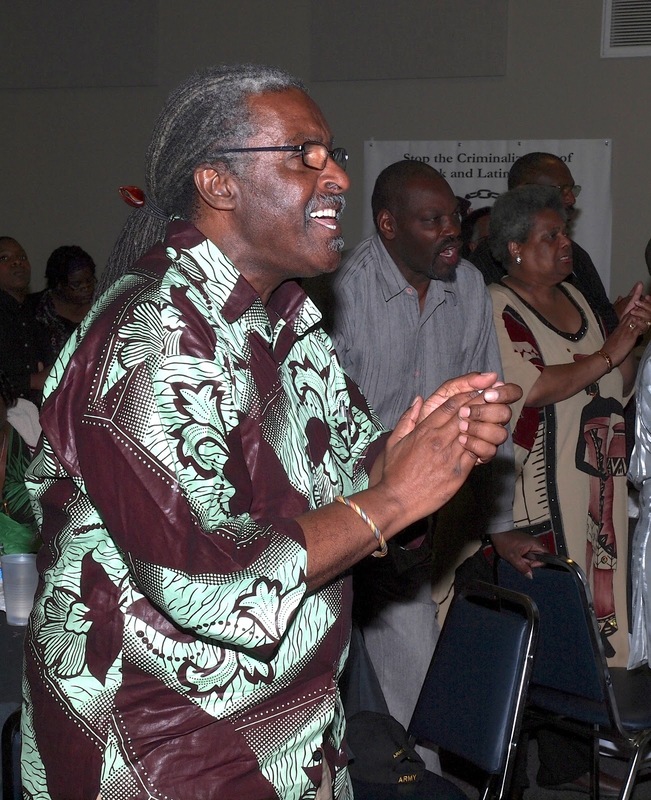 This year, Black Workers for Justice held their 30th Annual Martin Luther King Support for Labor Banquet. This historic dinner actually represents more than three decades of activism. BWfJ began as the result of a battle initiated by Black women workers at a K-Mart in Rocky Mount, NC in 1981. Your correspondent has been to more than a few of BWfJ's MLK dinners over the years, but this is the first time I've attended two years in a row. While last year's banquet was a serious "must attend" affair for a People's Organization for Progress member such as myself (POP's chairman, Lawrence Hamm was the 2012 keynote speaker), the event this year was even more exciting. The spirited response of the crowd to BWfJ's exhilarating Fruit of Labor singing ensemble was palpable. While last year's rousing keynote by POP's Larry Hamm certainly had the crowd on their feet, Jackson, Mississippi Mayoral Candidate and City Councilmember Chokwe Lumumba moved the attendees to "love offerings" in support of his candidacy. 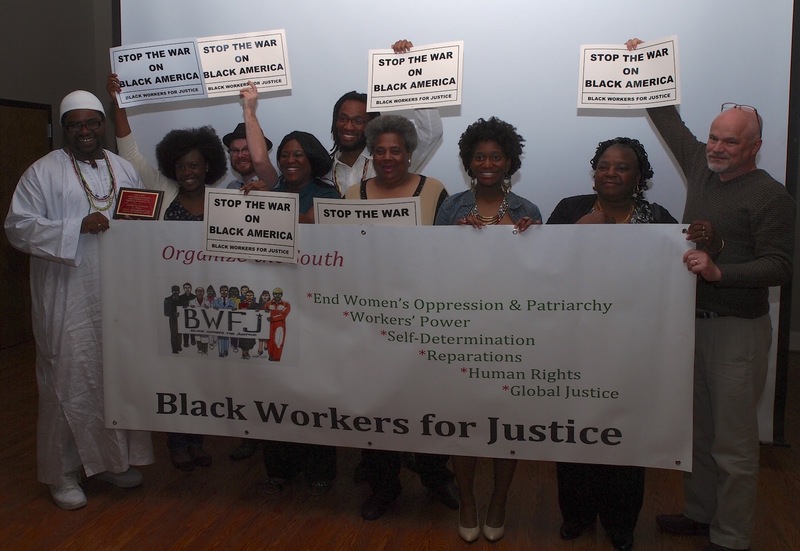 But the most impressive aspect of the 2013 BWfJ banquet was the level of youth participation. The Durham, NC based organization People's Durham (a new organization similar to POP in its campaigns and goals, click on the link People's Durham for more information), was represented by a very youthful contingent of members. People's Durham, along with Larsene Taylor and longtime activist Jim Campbell were recipients of BWfJ Self-Determination Awards (click the link Black Workers for Justice 2013 MLK Dinner to view three pages of additional photos by labor photographer, and friend of the Fire on the Mountain blog page, Jon Levine). The thrilling spirit of this exciting event was evident in poetry and dance as well as the singing of the Fruit of Labor and others. Erin Byrd read an excellent poem and Laprince Smith led the gathering in singing the Black National Anthem (Lift Every Voice and Sing). 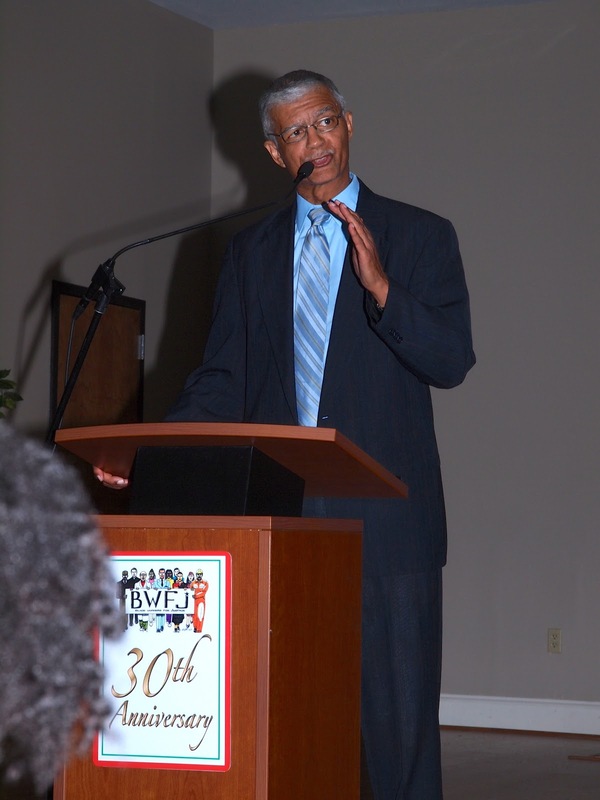 Jackson, MS City Councilman, and Mayoral Candidate, Chokwe Lumumba was the Keynote Speaker. The truly moving presentation by brother Chokwe Lumumba was informed by his years of activism, both in Jackson, MS and throughout the Black Belt South, as well as the entire US.